Will Make Beats For Food : Apt. 5B Podcast Hosted by Kil: What's The Perfect Hip Hop Song...NOT Named TROY?!?!?!? Apt. 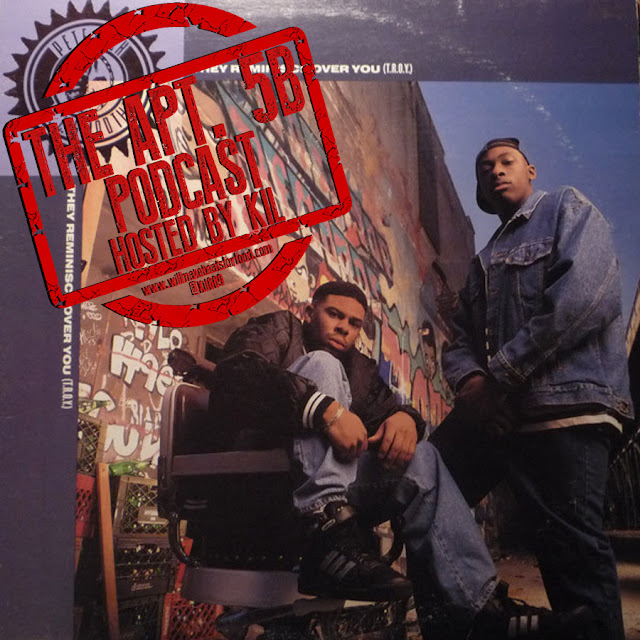 5B Podcast Hosted by Kil: What's The Perfect Hip Hop Song...NOT Named TROY?!?!?!? Check out this week's ep of my podcast Apt. 5B with DJ Iran, Yinse, Vern, JP & the younger Soul Brother Grap Luva on our top 5 perfect hip hop songs NOT named TROY! But don't stress that cause Grap still gives us some behind the scenes stories about the night one of hip hop's most perfect songs was recorded. Plus throughout this ep I give my two cents on why the bulk of hip hop for the past 19 years has been dope rhymes, over dope beats but why those two things don't always equal classic or perfect songs! Another dope ep ya'll and don't forget to subscribe to our You Tube & Mixcloud pages!